Old Time Dance Society Members and friends surprised Paul on Sunday 29th November on his 65th Birthday. We always attend Joy and Geoff Codd’s Sunday Tea dance at Eastcombe Gloucestershire, when we can and when I realised Paul’s 65th Birthday would fall on their last Tea dance of 2015, I made enquiries with Clare, who makes the cakes for the tea, if she would make a birthday cake. There were no invitations but word got around and friends started to let me know that they would attend. Obviously Paul new it was his birthday and thought we were going to the tea dance with the usual group of dancers but he was very surprised and delighted to find nearly 50 dancers there. It was a lovely afternoon of dancing in the good company of friends, with a delicious afternoon tea prepared by Joy, with sandwiches, cakes, scones and the birthday cake. I had found a novelty birthday candle that I thought would be fun, we lit the central wick and stood back to see what would happen. The candle was shaped like a flower bud and gradually the petals unfolded to reveal several smaller candles all flickering away. We are very grateful to Joy and Geoff who helped me surprise Paul on his birthday, for all the extra work they did, Clare for the cakes and for all those who attended and helped to make the birthday special. ​We loaded the car and drove to Dawlish Warren to host our first dancing holiday, with some trepidation, 89 people had paid to have a good dancing holiday in the Langstone Cliff Hotel and it was up to us to provide it!! We had put a package together that we hoped everyone would enjoy plenty of Old Time Dancing and some fun. We had been planning it for months, trying to think up something a bit different for each evening to go with the Old Time Dancing programmes. The food was excellent and the menus varied with plenty of choice, there was crumble on the menu on the first evening, so Nigel was pleased. Guests who were happy to lead had given us ideas for dances they were willing to lead and we arranged the programmes for the three nights around our favourites, their suggestions and some fun dances. On Monday evening we led the first dance the Alison Waltz, other waltzes were Debonair, Viennese Sequence & Shimmering, the programme also included the Mexican & Dixie swings, saunters Kaybee & Shiraz, tangos Magenta & Guitar and Wedgwood Blue & Promenade gavottes. The progressive dance was the Anniversary Two Step and we also had the Rialto, our favourites the Avon Foxtrot, Winfield QS, Bambi Blues and Mulberry Glide. The set dance was the Quadrilles and the fun dance The Dashing White Sergeant. During the evening we presented Nigel with a plaque for his services to the British pudding and the “Choir” sang him a song specially commissioned to mark the occasion, The Crumble Song which is sung to the tune of Land of Hope and Glory. Oh what a lovely crumble tastes like cru-um-ble should…..
We had spot prizes plus lots of lucky dip prizes, we used the ticket numbers to choose the winners. On Tuesday morning we had a social dance request morning for those staying in the hotel and we were surprised that 55+ turned up. The programme was made up from the request list and included Old Time, classical sequence, modern ballroom QS, Waltz and a Rumba, we had a trial run of the Blaydon Races ready for the evening. Doreen and Des taught the Winchester Waltz and Bernice and Grahame taught an old Blues the Fredericka Blues (1958), the steps included a point, point, point, point which became the oink, oink, oink, oink, so it is also now known affectionately as the oink, oink blues. We provided Tea Coffee and Biscuits at the end of the session. Margaret had put up some Ding Bats and missing word puzzles, in the bar of the Ballroom just for fun, for those who wanted to try and work them out over the holiday. The weather was clear for those who wanted to get out for a walk or some enjoyed the various amenities of the hotel. Tuesday evening was the Ball night there was a free raffle, again using the ticket numbers to draw the winners, there was an elimination dance with a prize of a bottle of whisky. Spot prizes for the Progressive Quadrilles and the Kaymar Sway. We donated a watercolour painting of a poppy and tickets were sold on Monday and Tuesday evenings to raise funds for The Royal British Legion. £100 was raised, the picture was presented to the winner Betty Maller and a cheque presented to Grahame Lee, a member of the RBL who was going to hand the cheque in on our behalf. As well as the dances mentioned above the programme included the Sindy & Variety swings, saunters Britannia & Reve and tangos Solair & Tiger Eye. We had the Bluebell Polka, Empress Mazurka, Alpine Stroll and Cameo Gavotte 76. The set dance was the Caledonians, Mayfair Quickstep, led by the Bath formation team, was the elimination dance we also had the Liberty Two Step, Manhattan Blues and Bermuda Foxtrot. We finished the evening with the Regis Waltz and the interval waltz was the Fylde Waltz spelt Flyde on the programme and David Hurt won the prize for being the first to notice the deliberate mistake. The fun dance was the Blaydon Races that went down very well. To mark Remembrance Day a small group who were in the hotel met to mark the two minutes silence, prior to the silence Hazel read out a poem that had been printed in the local paper. They know they’re on familiar ground. Tears in their eyes, hard to hide. Marched away from a living hell. Those people there are remembering me. Many took the chance to go by train to Exeter or Exmouth for the day, while others relaxed in the hotel. We met at 6pm for the drinks reception as we had each evening but on the last night we ate in the Ballroom. The theme for the evening was poppy or a touch of red, we had provided poppies in vases and poppy napkins and the staff set the ballroom up using our decorations and adding red napkins and candles the result was absolutely wonderful. Coffee was served in the ballroom bar and Margaret went through the answers to the puzzles and provided LED lighted parcels for the winners because they were leading lights. The last evenings dancing got under way with the Rag Time Swing, and included waltzes Northern Star, Winter, friendly & Doris. Las Vegas a Serida tangos, this was also the progressive dance with spot prizes. Fredericka Schottische, Premier Two Step, Elizabeth QS (spot prize dance), Saunter Together and Viennese Swing, Melody & Freda foxtrots, County Gavotte 2014, Swedish Masquerade and Balmoral Blues. The fun dances Gypsy Tap & Glyn Garry Swing with the floor full for the set dance The Virginia Reel, there was no room for any more sets. There was a party atmosphere with all the fun dances and as well as the spot prizes there were three draws of ticket numbers to win a box of chocolates or trade that prize for what was in three boxes, a top prize, a good prize and a booby prize. All three prize winners traded the box of chocolates Gill won a Marks and Spencer Gift Voucher, Bev won a Champaign Breakfast for Two and Cindy won an Afternoon Tea for two. We finished the evening with Auld Lang Syne and before the Queen we all joined in with the Crumble Song. The Langstone Cliff is a family run hotel and we would like to thank them and their staff for looking after us so well especially at a difficult and busy time for them with a family funeral and family wedding during our stay. October 2015 - Our Bath dance continues to be well supported with over 40 dancers attending on the 9th October. The list of dancers wishing to attend the Bath Summer Ball 2016, is filling up and The Southern Ball 2016 now has a waiting list. During October we also danced at Keynsham, Uplowman and Normandy and then we were off to Skipton for The Old Time Dance Society autumn weekend and AGM. We very much enjoyed the Rendezvous Hotel, with well-appointed rooms, delicious food and friendly helpful staff. We adored dancing in the beautifully decorated ballroom to the wonderful music of Elizabeth Harrison. We had three excellent programmes led by Kath & Keith, Bernice & Grahame and June & Ron. There was a friendly happy atmosphere with much good natured banter, although as Southerners we tried to stay neutral between the white and red roses. 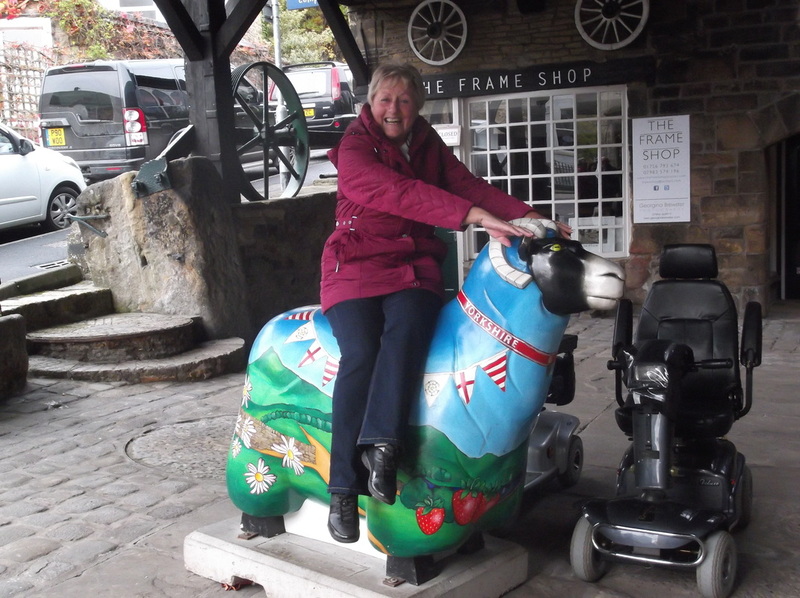 There was much to see and do in Skipton and the surrounding area, on both Saturday and Sunday we joined different groups of friends to walk the canal path into Skipton. Skipton had a wide variety of shops café’s and a castle, there was a street market in the town on Friday and Saturday and a craft fair in the Guildhall. On the Sunday we also walked the spur of the canal that followed the walls of the castle and from our advantage point above the canal we could see Kath and Keith Jackson enjoying a cruise along this part of the canal. Having enjoyed a successful weekend it was great to relax for a few days with Bernice and Grahame, who had invited us along with Dianne and Terry, to stay with them for a few days. On the way to their house we stopped at Boundary Mill, Hilary, Nigel and Joyce had recommended it, we were amazed at the range of Ladies and Men’s clothing and shoes at very reasonable prices. There was a Marks & Spencer outlet and a huge gift and household department that sold everything except furniture. While we were staying at Bernice & Grahame’s we took the opportunity to attend the monthly dance at Littlethorpe with Jane & Peter and had a day dancing in the tower ballroom at Blackpool followed by a walk through Blackpool illuminations. Top: Dianne on a test drive. 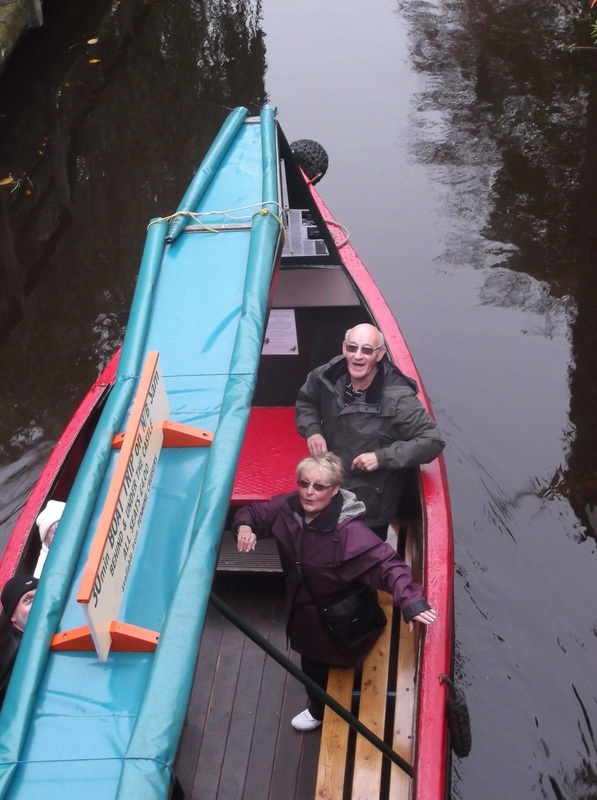 ​Left: Kath & Keith cruising the canal. August 2015 - The last Friday in July we spent the day in Weymouth with Dianne and Terry, the weather was better than expected and we passed a very pleasant few hours on the prom and in the Gardens where we saw a very well laid out floral display celebrating the 100 years’ service by the WI. After an early evening meal we made our way to Dorchester for the monthly dance run by Brian Webber. We always enjoy going to the dance it is good fun and quite unique. Brian will announce 4 or 5 dances for each style of dancing, for example he will announce “we will now dance Trelawney Tango, followed by Tango Serida, Lola Tango, and Gypsy Tango”. We always find different dances when we visit Brian and on this occasion he showed us the Sunset Saunter. We made enquiries with Grahame Baldwin Chairman and Archivist of The Old Time Dance Society about the Sunset Saunter when we got home. Grahame confirmed it was arranged by Capt. A H Lemon (Oxford) in 1957. We visited Summertime Dancing in Normandy on Monday 10 August, always a good afternoon of Old Time Dancing. On Saturday 15 August we travelled up to Hull for a weekend to stay with Alan and Ann Grohs and enjoy some dancing and visiting in the area. We very much enjoyed a visit to Beverly a town we had not been to before and had a relaxing afternoon there before going to Christine and Geoff’s social dance at Woodmansey. We were back at Woodmansey on Sunday afternoon for June and Ron’s dance. A caravan club had hired the field next to the hall and some of them joined in the dancing, a great afternoon dancing and meeting up with friends. In the evening we enjoyed a meal with Alan and Ann to celebrate their wedding anniversary. Having had an idea to put on a Ball to promote and support Old Time Dancing, after 20 months of planning the day arrived for the first Southern Ball and it was a beautiful summer day as we set off from Bath. As we live in the South we looked for a ballroom in the South and with its central position and beautiful Ballroom, Winchester was the ideal location. However, we could not hold and organise a large Ball without help. We asked our friends, Dianne & Terry, who are a great help to us at Bath and then approached Joyce & Richard and Hilary & Nigel of Summertime Dancing. Richard agreed to MC the evening and suggested we share the leading. The Ball had been sold out for months and lots of dancers took the opportunity to stay in the area for the weekend and attend the Sunday Tea dance at Normandy. With the help of Dianne & Terry the Ballroom was decorated in the morning and we set out to find some lunch in the City. Arriving back at the Ballroom late afternoon we laid out the raffle with 30 prizes and the finishing touch was put in place when Hilary & Nigel arrived with two fabulous flower displays for the stage. The tables had been dressed with sprays of fresh flowers and selection of savoury snacks and the Ballroom was lit ready for the evening. Any last minute nerves, wondering if we had done the right thing, soon disappeared as dancers started to arrive and there was an air of excited anticipation as the Ballroom came to life. This was not an Old Time Dance Society Event, however, as loyal members of the Society our aim was to celebrate and thus promote Old Time Dancing and The Old Time Dance Society. 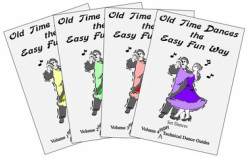 We provided lots of information on the Old Time Dance Society and dancing holidays. Maestro Direct provided us with lots of catalogue’s and information on dance music for each table. Grahame Baldwin, Chairman of the Old Time Dance Society, and his wife Bernice were our guests of honour. We had the support of dancers from Cornwall right across the South to Surrey and also from the Midlands and the North. We were delighted and honoured to have the company of Sheila and Harry Youlton at the Ball. When we started Old Time Dancing one of the first Balls we attended, outside of Bath, was Sheila and Harry’s Ball at Southampton. The programme was a good mix of traditional Old Time dances a few of the newer classical dances a set dance and a fun dance, something for all. Everyone was welcomed to the Ball and reminded that it was not an Old Time Dance Society event but anyone who was not a member was encouraged to join and support the Old Time Dance Society. Joyce and Richard were introduced as MCs for the evening and Richard in turn welcomed our Musician for the evening David Last. The first dance was led by the four organising couples in formation across the ballroom. The evening continued in a relaxed friendly atmosphere, with everyone enjoying the dancing and the company. Richard introduced Bernice and Grahame, Chairman of the Old Time Dance Society and during the evening he also introduced Sue Hamm Vice Chairman and Michelle Boddy Secretary of the Old Time Dance Society. Shelia & Harry Youlton were also introduced to the dancers, Richard welcomed them and thanked them for their support. Stephanie’s dance wear and Holbrook’s Shoes were on sale in the Bar area so when the gentlemen were buying the drinks the ladies could shop for skirts and shoes. The gentlemen elegant as always in their evening dress many with tails and it was nice to see so many ladies in Ball gowns with gloves. The sets for The Quadrilles filled the Ballroom and there were lavish spot prizes for the progressive dances although there was much hilarity because Richards’s bottle (spun to choose the winners) seemed to take on a life of its own. No one took themselves too seriously and “La Chappeloise” went down a storm. The already huge raffle was swelled by donated raffle prizes Terry took charge and kept the raffle moving along with the large group from Devon doing exceptionally well winning several prizes and one of their number also won the door prize, it was worth the long journey. The Ball ended with one new dance the Selby Swing and one not so new the Alison Waltz. Brilliant music from David Last, shared leadership of the dances from Hilary & Nigel, Hazel & Paul and Dianne & Terry. Joyce & Richard doing an excellent job as MCs with Richard on top form all went to make it a special night of Old Time Dancing. A list was available for those who wanted to put their names down for next year’s Ball and as a result we are already have 99 booked for the 2016 Southern Ball. If you are interested in attending please contact Paul Harding or Joyce Hutchins to book your place. The feedback we received as the dancers left the hall was that they had all enjoyed the evening. Thank you Winchester for providing a beautiful ballroom and a lovely City, we will be back. We are also very grateful for the staff at Winchester Guildhall, who were very helpful and accommodating and helped to make The Southern Ball a great success. The Lovely weather continued on the Sunday and after a lazy morning and a good breakfast we set off for Normandy, Summertime Tea Dance. Joyce, Richard, Hilary and Nigel had organised the tea dance to complete the Southern Ball weekend, another sell out. Joyce and I had carefully coordinated our matching outfits for the dance. Richard had kindly invited anyone, who was staying overnight in Winchester for the Sunday Tea Dance, to his house for coffee. Twenty dancers enjoyed his hospitality and a look around his garden. We all enjoyed another delightful afternoon of Old Time Dancing with Joyce & Richard, Hilary & Nigel, music by Antonair, good company and set in the beautiful Normandy Hall. The afternoon included more spot prizes a raffle and a very enjoyable afternoon tea. Due to the success of the weekend the Tea Dance will be run again next year and that is also very nearly full so contact Joyce to put your name down. June 2015 - At the beginning of June we attended the Culm Valley Merry Makers Monthly dance at Ash Thomas in Devon. This was the last one until September as they close for the summer. Then on the 7th June we were off to Summertime Dancing in Normandy for the Bryan Smith Tea Dance. This has become an annual event led by Joyce Hutchins and Richard Purcell as a tribute to Bryan Smith and his music which is all played from LP records. This is the fourth year this afternoon dance has been put on and it has become very popular. On 26th June we travelled to Lincolnshire to stay with our friend Michelle Boddy. 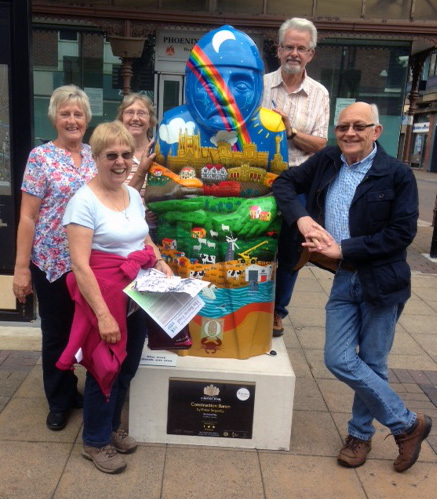 We arrived early and with Michelle’s other house guests we went into Lincoln to follow the Barons Trail which had been set up to celebrate 800 years of Magna Carta. (Lincolns Magna Carter is held in Lincoln Castle) The Barons all decorated by different artists were positioned at various points throughout the city and each one had a letter on it to complete the trail you had to find all the letters and complete a phrase. With 25 Barons to find we followed the trail enjoying the historic streets of Lincoln and completed the phrase “Your voice is powerful use it!” We were all up early to go strawberry picking and then back to Michelle’s to help her prepare the food for the supper. The Strawberry dance always gets off to a swing fuelled by jugs of Pimms, a great night of Old Time dancing with a real party atmosphere and the raffle raised £70 for cancer research and help the Heros a £30 donation enabled Michelle to send a cheque for £50 to each charity. Michelle invited us to stay a few days after the dance as the funeral of our dear friend Eddy took place in Leicester on Wednesday 1st July. Eddy lost his brave battle with cancer on the 17th June he was a good friend to us and we will miss him dreadfully. Bernice & Grahame’s holiday in Southport. A large group of 20 from Bath Old Time Dancers attended the Old Time Dance Society Spring Weekend in the Isle of Wight. Some had gone down a few days before to make a longer holiday. Michelle Boddy was travelling with us and the sun shone as we drove down through the New Forest to Lymington for the crossing to Yarmouth. Michelle led with committee members and friends on the first evening. Paul led the Firefly Tango and Winfield Quickstep, Hazel led the Fiona’s Polka and Area Rep Terry led Variety Swing and Saunter Reve. Bath and Oxford dancers dressed in Naval hats and collars plus there were 3 pirates for the Marine Four Step and the ladies put on their fascinators for the Ascot Gavotte. There was a good atmosphere with some good old dances and a few of the newer ones on the programme and 6 sets for The Lancers. The weather on Saturday was wet and blustery but we braved the weather along with Bernice, Grahame, Dianne, Terry and Michelle to walk along the costal path to Shanklin. We were lashed by wind rain and sand and by the time we met up with a group from Oxford we looked rather dishevelled. A warm bath on our return soon revived us. The Saturday evening leaders were Pat and Mike Cooper from Cannock, another good programme and atmosphere, with 7 sets for The Quadrilles. It was very windy on Sunday morning with the threat of more rain so Paul, Grahame and Michelle put on a request morning in the Ballroom for any members who did not want to go out. Joyce Parry was celebrating her 95th Birthday and she led the Bambi Blues with James. It was a good relaxed morning with 40 members attending the session as one member said it had made a dull morning brighter. We then took a bus to Ryde which cost me £3.50 (born too late to get a bus pass) we had a quick cup of coffee; some had a chip butty while we watched a parade of old buses. We travelled back by train although all the rest of the group were not too happy as they all had to pay. The final nights dancing was led by Kathleen and Mike Savory from Leicester with Marie and Janet helping out with a few of the dances. Joyce Parry who joined the Society in1985 was presented with a bouquet of flowers from the Society for her birthday and Joyce said it had been her best birthday ever. Yet again a good and varied programme, with 8 sets for The Caledonians and nearly the whole room hopping in the Festival Glide. David Ingley provided the music for the whole weekend, including playing for the two morning sessions and as usual this weekend we all enjoyed dancing and singing to his music. March 2015 - Snowdrop dance at Swinderby Lincoln, Michelle put on this dance to help John Rowbotham during his illness, sadly John passed away before the dance so Michelle renamed it John’s Snowdrop dance in his memory. We arrived at Michelle’s on the Friday which meant we could enjoy a good walk around Lincoln on Saturday morning and attend a local dance in the evening. Michelle explained it was a sequence dance, we were made very welcome by the leaders Valerie & Terry and all their dancers. However, we did not expect to dance all the dances but to our surprise we danced most of the evening because 80% was old time or classical. The snowdrop dance was a Sunday afternoon tea dance, Michelle was supported by Old Time Dance Society members from Hull, Sheffield, Barnsley and the Chairman of The Old Time Dance Society. There were also dancers from Lincoln and a gentleman who had been taught dancing by Joan & John Rowbotham. It was a very enjoyable afternoon with dancing, singing and much laughter. Home for just a few days and then we were off to the Isle of Wight. March 2015 - At the beginning of March we were back over the boarder to Devon for the Merrymakers monthly dance, it was a good attendance and as usual plenty of laughter, good conversation and plenty of old time dancing, in the interval a cup of the famous Audrey’s tea. Locally we visited the Keynsham club which is always a good night with Des & Doreen. While Joyce & Richard were taking it easy on holiday, (a nice change for Joyce but nothing new for Richard) we went to Normandy to support Hilary & Nigel. It was also a good opportunity to deliver The Southern Ball tickets for Joyce. It was an excellent programme of old time dancing in good company and the usual happy relaxed atmosphere. Now we are getting ready to go up to Lincoln for the Snowdrop dance before attending the IOW. Jan/Feb 2015 - We ended January with visits to Keynsham and Dorchester. At the beginning of February we fitted in a visit to Winchester, with all the team organising The Southern Ball, to finalise arrangements. See report on The Southern Ball 2015. Near the end of February we enjoyed Joy & Geoff Codd’s Sunday tea dance the first one of 2015, a friendly afternoon with a proper afternoon tea of sandwiches and delicious cakes. On the last Friday in February we had a second visit to Dorchester for a lovely evening of old time dancing with Brian and all of the Dorchester club members. January 2015 - We saw the New Year in at Keynsham Old Time dance club that we always enjoy because of the party atmosphere and as it is local to us and we can be home within 15 minutes. This year Des & Doreen provided a varied programme to suit all on New Year’s Eve with lots of fun, spot prizes with good company and we toasted the New Year in amongst friends. Early January we thoroughly enjoyed the Summertime dancing holiday at Bournemouth with Joyce & Richard. We had to miss the Friday evening but travelled overnight and arrived at the hotel at 1am. During the Saturday morning teaching session Joyce & Richard taught the Selby Swing and the Oriental Mazurka, one new and one old. We picked up the Selby Swing which we think will become popular with clubs. With Richard’s excellent teaching and guidance we even managed to dance the Oriental Mazurka, especially when we had worked out what foot to hope on and where and when to waltz, let’s hope this is revived in Old Time Dance Society programmes. As usual the weekend was based in the Wessex Hotel which has all the facilities for a dancing holiday, although, the air conditioning in the ballroom proved difficult to regulate, the ballroom was very cold on the Saturday night when we entered but it had warmed up by the time we danced the Winter Waltz, pity we never stared with the Winter Waltz as many of us put on hats, scarves and gloves to dance it. (see pictures) Nigel was happy because there was crumble on the menu and the lemon meringue pie was one of the best Hazel had tasted. Not a lot to say about the music because it was David Last on the Saturday & Sunday and as always his music was excellent. All in all a relaxed enjoyable dancing weekend looking forward to the September one. See dancing holiday page for more information.